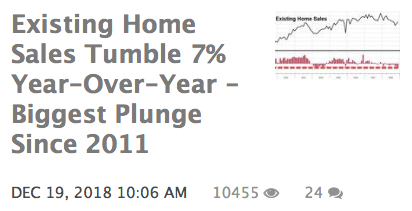 Graphic From Zerohedge.com … Home Prices Reduced In Orlando … Will There Be A Recession In 2019? Next Guess Who Is Keeping Busy In Dallas? … Call Richard Law At 321-543-2809 EDT … Get A Great Resume … Do It NOW!